Several dozen cheating Volkswagen cars stored in the former Detroit Lions stadium parking lot in Michigan were reported stolen last week, and now a massive probe is underway to locate the missing vehicles. 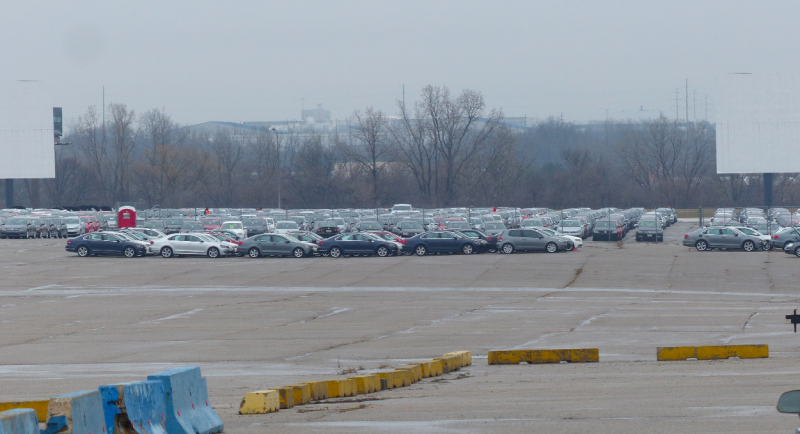 Thousands of cars linked to VW’s Dieselgate scandal have been stored at the former Silverdome parking lot since January. But in recent days, over 60 have been reported missing, with some ending up in Indiana and Kentucky with bogus titles. Sales tied to the stolen cars have already been reported, too. Expectedly, a nationwide search has been launched to track the cars down, according to WXYZ in Detroit. Volkswagen rented the lot after government sanctions forced them to buy the diesel cars back because software was hiding how much emissions the cars were putting out. Indiana media is reporting at least 60 of the vehicles are still missing after getting taken to Indiana and Kentucky. Both Michigan State Police and the FBI are investigating. The situation has quickly devolved into a messy affair, with some of the stolen vehicles reportedly still siting on auction lots in Indiana, reports Automotive News. So, if you’ve scooped up a cheating VW in recent days, WXYZ suggests the smart thing to do would be to check safercar.gov, see if the vehicle is related to any recall, and then call the county sheriff’s office corresponding to where the car was purchased to see if it has a legitimate title. If you know anything more about the situation, reach out to us at tips@jalopnik.com.